Dino Lara’s Digital Storybook: Click image to view site. This goes hand in hand with Dino Lara’s main website. The story of this site is also in that section of my portfolio, so if you want to read about it, check that page out first. The design of this site is basically the same as the main’s, but you’ll see more of the lovely pictures here because this happens to contain his portfolio. I merely did the web site design, and the layouting of most of the pictures (whew! ), which I hope complimented his works. 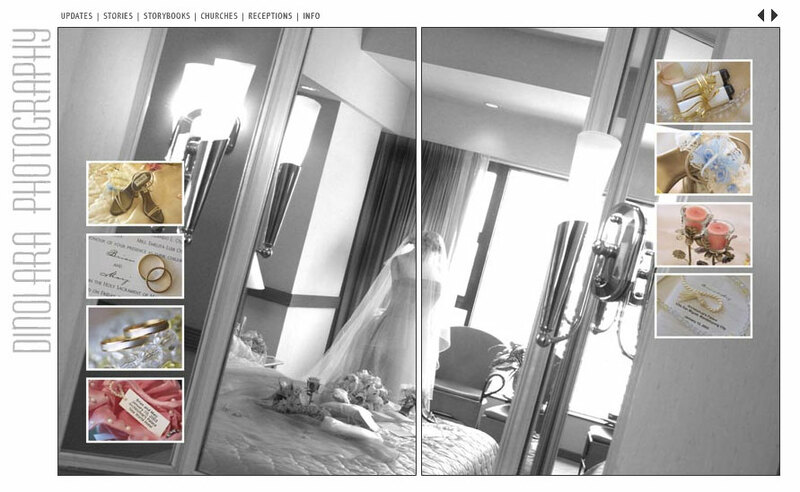 I tried to make it as simple as I could because I didn’t want the site design to duel with the photographs. This is more labor-intensive than DinoLara.Com, but it was sure worth every minute I spent on it. A little note, though…I didn’t like the main page much, but the inside is something to peruse. This entry was posted by skysenshi on March 14, 2011 at 9:01 pm, and is filed under Web Development. Follow any responses to this post through RSS 2.0.You can leave a response or trackback from your own site.